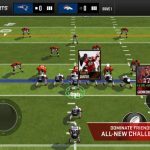 We know we’ve already shared with you a detailed Madden NFL Mobile strategy guide, as well as several tips and tricks to get unlimited coins and more Madden Cash in the game, but with the NFL season several weeks old already, we can’t help but share another one, with more useful tips, strategies, and hints to help you through the in-game season. Unlike Madden NFL for consoles, there’s a card collection element in this game, and aside from drafting today’s NFL superstars such as Tom Brady, Odell Beckham Jr., DeMarco Murray, and others, you can also draft retired legends such as Bo Jackson. 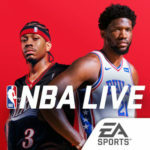 Yes indeed, you can have a mix of yesterday and today’s finest on your team, and play in a variety of modes against players from all over the world. This EA Sports title, might we add, is also available for both Android and iOS platforms. 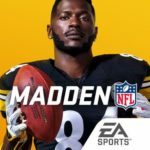 Now, that we’ve jogged your memory and quickly differentiated this game from the Madden NFL you may know from Xbox or PlayStation, let’s get to this brand-new list of tips and tricks. When you open your first pack of Madden NFL Mobile cards, you should immediately go about reviewing your team and seeing who’s who. Unless you religiously follow the NFL and each team’s real-life depth charts, you’ll likely be hard-pressed to find more than one or two players who are familiar to casual fans. But it would all boil down to your player ratings to see how good your team is. A player whose rating is less than 60 is a total scrub that you should drop at the very first possible moment. 61 to 65 signifies someone who may start for about a week or so, but is likely to be cut after that. 66 to 70 means that the player may start for two weeks tops, but preferably nine to ten days only. After that mediocrity, you’ve then got players with ratings of 71-75; these are solid, reliable real-life NFL starters, but not exactly stars. A 76-80 rating points to an above average player, but still not someone you’d call a star player. 81-85 means that the player is good enough to be a star. 86-90 guys are your second-tier superstars. 91-95 corresponds to the true All-Pro-level superstars. As for 96-100, these are the cream of the crop, your future Hall of Famers. You may be running a busy schedule, but you can always devote about ten minutes per day to take part in the daily drills and games. You’ll still get coin bonuses here, and good ones at that, and you’ll be well-practiced for an actual game. A little Madden NFL Mobile time is better than no time at all. Here’s an easy tip to keep things easy – when upgrading players, focus on those whose contributions can be measured in stats. In other words, that’s everyone except your offensive linemen, but some positions are still more important than others. Specifically, you want to upgrade your quarterbacks, running backs, wide receivers, tight ends, kick returners, punt returners, defensive ends, linebackers, and cornerbacks. Some of the best offensive lines were those smaller, but quicker than the average OL. Defensive ends have thrived when played at defensive tackle, while linebackers are often played at DE to add some speed to the defensive front four. You get what we’re talking about here – speed kills in real life, and it also does when playing Madden NFL Mobile. We know that gadgets are expensive, and we definitely aren’t asking you to buy a Galaxy Note phablet or Note Pro tablet, for instance, when your 5-inch or smaller Android phone is working perfectly fine. But if you’ve got two mobile gadgets, you should go with the larger one. On-screen buttons are placed differently depending on the situation, and with more screen real estate, you’ve got more room to swipe while still getting a good view of the screen. Unless you’re on fourth-and-goal, real-life NFL suggests it’s foolhardy to go for a touchdown on the fourth down. If you’ve been playing Madden games for a while, you know what we’re talking about here. When on offense, treat each down like a normal one, as you’ve got a much better chance of scoring on a touchdown in the fourth down than even the best backfield guys do in the real NFL. Throwing long passes is cool; you see it in actual NFL games, and in video games, there’s nothing like throwing a long bomb to your top wide receiver. But you want those passes to be completed, so that means it’s always best to play conservatively when passing. This is especially true when you’re just starting out, as you’ll likely have a porous offensive line and little time for your receivers to break free. Defensive ends and outside linebackers are the guys who pick up the most sacks, and they’re also the easiest, and most fun to play when you’re on defense. Choose these positions when on defense, and always, always go for a tackle, if not a quarterback sack. 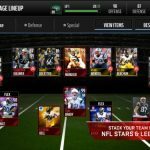 We’ve given you some tips and tricks on how to budget your in-game money in Madden NFL Mobile, and there happens to be a ton of items in this game that can be bought with real cash. But if there is a way to help it, then save your actual dollars and cents and use your in-game currency – your cash and your gold coins – to pay for things. While a lot of the items do come with premium price tags, it’s all worth it. You just need to be patient as your team progresses from a lineup of scrubs to a roster that could easily win the Super Bowl.